Following trends is something that every trader ought to know. This means that the trader ought to know exactly what the market is leaning towards and what goods or services to offer at what point. In the forex forex market, the idea behind following the trend is more or less similar. The idea behind trending is that you anticipate the direction that the market is bound to take and look to make money in the event of such a movement. In essence, by choosing the correct trends, the trader can get into the trade early enough and ride the wave until it is almost through. By trend trading, a trader also protects himself or herself from staying in a trade too long and losing out of the benefits that had come with the trade initially. Through trend trading, the trader can determine the peak of a wave and pull out before the downward trend begins. If the trader is relying on the downward trend, then he or she can look out for the best deal and quit while the profits are maximum. The trick in trend trading is to know just when to get in and at what point to quit the market. 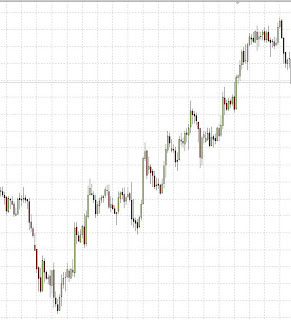 In general, prices in the forex market move in three major ways; upwards, downwards or sideways. In general, during a downward it is common to find that the peaks often go much lower than the points that are right before them. After such a trend, it is quite typical to find that one of the peaks rises just above the previous one; that should be your point of entry as it represents a potential swing back to an upward trend. Once you buy in, you need to look out for the peak during the upward trend since you do not want to stay in that position for too long. Once you see the ever increasing peaks have begun reducing, that should be your cue to quit the market. For instance, if the price of a currency is just picking up from a downward trend, then you should purchase the contract and ride it out until the point when the current peak falls just below the previous peak point. At this stage, you should quit the market and watch out for another upward trend. The sideways trend in most cases acts as an interlude between the upward and the downward trends. It acts as a calm spot in the market when the shift is not as visible as in the previous two trends. There are numerous trading strategies that a trader can use when in the forex market. For instance, swing trading, which is the easiest strategy, is done by catching the reactions within major forex trends. This is especially the case for the trends that tend to last more than a few days or weeks. The fact that there are clear stop levels as well as the fact that these trades often last for short durations of time, makes it much easier for the trader to undertake swing trades. If you have been trying to figure out which Forex trading system is going to be the best one to use, you have probably been overwhelmed with the number of different options that you have to choose from. There are literally hundreds of different Forex robots floating around on the internet and they all claim to be the best Forex trading system available. While this is going to be purely based on a matter of opinion, there is one solution currently available that has real life data to back up its success. This Forex system is called Pipjet, and it was created by the same team that created Forex Megadroid, which is the #1 Forex trading robot of all time. The Pipjet Forex trading system utilizes a Forex robot that executes successful trades by utilizing the USD/CAD trading pair. It also makes use of a more advanced version of the very successful trading algorithm that was used in the Forex Megadroid software. This technology is called the Reverse Correlated Time and Price Analysis system (RCTPA). The robot is able to determine which trades are the most profitable trades to make and then execute only those trades. This is where other Forex robots trading robots fall short. They are not able to analysis individual trades to see how profitable they will be. By using Pipjet, not only will you be able to decrease the amount of risk that comes with trading, but it will also result in more money in your pocket. Also, by using the Pipjet robot, you will be able to take full advantage of the Asian trading session. One of thebiggest advantages to using the Asian session is that due to the decrease in spread, the Asian session is potentially one of the most profitable trading sessions to trade in. This is something that very few traders are aware of and Pipjet takes full advantage of this resource. The Pipjet software is very easy to download and install on your computer. It comes with plenty of instructions and technical support resources should you have any questions. This system is truly a set it and forget it system. Once you input the required data to get it started, it will make all of the necessary adjustments from on its own. The program also has a built in safety feature which will allow the Pipjet development team to prevent it from making any trades during unsafe market conditions. This is a great feature to have especially for those who are not very experienced with Forex trading. You also have the ability to disable this feature if you are a more experienced trader and want complete control over your trades. Pipjet has proven to be one of the more profitable Forex robots available today. The Forex Megadroid team has made public 5 real money live accounts so that traders who are interested in the Pipjet software can see just how profitable it really is. If you are looking for a Forex trading system that has proven to be effective and is backed by one of the most successful Forex software development teams today, then the Pipjet Forex robot is going to be right Forex trading system for you. Fundamental: Last week, the US Fed finally announced that the new round of quantitative easing would occur and put a downward pressure on the US Dollar. The USD will continue to face downward pressure for the next few weeks, as the US prints more and more money. However, Japan made its own announcement recently and they will counter the appreciating effect QE3 has on the Yen. Therefore, the USD/JPY pair had a brief free fall and has appreciated since then. The main downward pressure on the Yen comes from political tensions between China and Japan. Traders sold the Yen aggressively on Monday as concerns grew about the conflict having any economic consequences. Most of the money that got out from the Yen went into the Euro. The Bank of Japan may expand its monetary easing so traders might continue to take their money to the Euro or the US Dollar. This is being highly speculated among the trader community as the Bank of Japan is likely to follow in the footsteps of the Fed and ECB. The BoJ Governor Masaaki Shirakawa said that a high priced Yen was creating problems for Japanese exports, so traders can expect some measures soon. Technical: The chart shows us that the pair has largely moved sideways since the past month. The QE3 speculation and announcement caused a decline from the 7th of September, but the pair has largely risen from the 14th. This is due to speculation of Bank of Japan’s monetary easing as well as political tensions with China. However, the price is currently at a minor resistance level, and if it needs to appreciate it will have to break through this one as well as one more at 79. A rally is likely after these levels, until the price reaches at 80, where the resistance is significant. Given that the pair usually moves sideways, it is unlikely that the price would break through this level. On the other hand, if the pair is not able to break the resistance levels, it might fall and reach two significant support levels at 77.996 and 77.380, which would require a major event to break. MACD is currently producing a bearish signal, but is in a broader bullish mode. It has been rising since 12th of September and is at 0.153 right now. Stochastics are producing a bearish signal as well, but once it reaches the oversold mark, it should probably rise back again. Since the past week, it tends to remain in the overbought mark for long period of times, showing that the rallies are strong. Fundamental: The biggest news this month was the Fed announcing a new round of quantitative easing. This has put a downward pressure on the US Dollar, which is expected to depreciate for the next few weeks. The main question for traders is whether the CHF will appreciate or depreciate, which will decide the fate for the pair. On Tuesday US will release its CPI Inflation numbers, which traders should look out for. Apart from that, they need to focus on technical analysis by watching overbought and oversold levels, and continue to ride the QE3 wave. 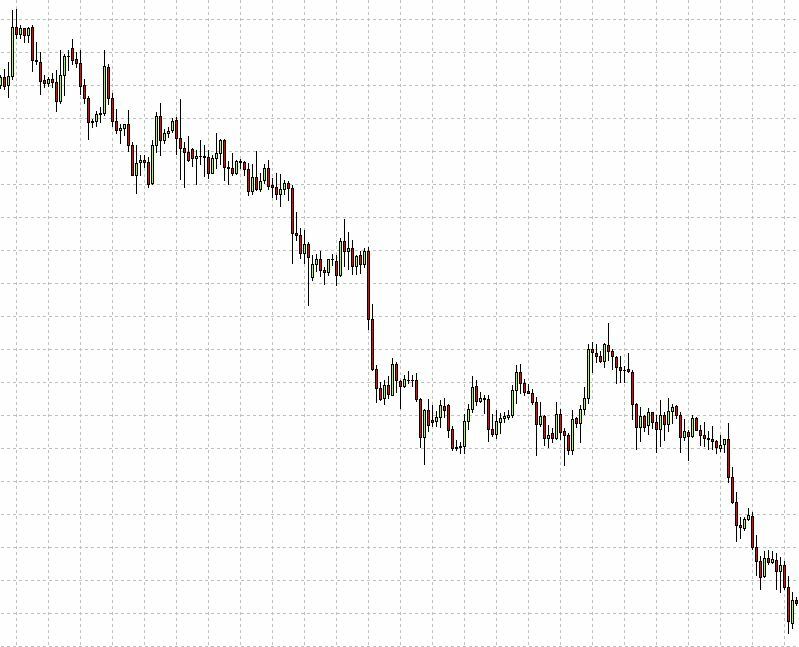 As shown in the chart above, the USD/CHF pair was slowly descending in a downward channel from August. This was broken on the 7th when QE3 became a reality for traders, and the US Dollar was aggressively sold. Since then the pair has following a downward trend and has recently travelled sideways. This is because the USD became oversold and experienced a brief rally, which should not continue for long. The price has retraced back to its EMA, and should fall again soon. If the pair experiences a strong rally, it will meet an even stronger resistance level at 0.945, which has been historically important. From the 7th to the 10th, prices stalled on the same resistance level (support level at that time), before breaking it due to QE3. Therefore, traders should not expect the price to cross this level until a major event occurs. The pair has no support level – other than the price’s own current position – so if the pair falls again it is likely that this will be a strong directional move. MACD has been in the negative from the 5th of September, so there is a strong bias of shorting the pair. However, recently it has been bullish and has been rising from the 14th. Traders should keep in mind it is still below the 0 point, so a rally may not be as strong as imagined. Stochastics just reached the overbought mark and is poised to descend. This is more in line with QE3 and should be bearish for the next day or more. However, traders must be cautious as it has just reached the overbought mark and hasn’t begun a descend, so they should wait until a clear sign emerges. Fundamental: On Thursday Ben Bernanke announced that the third round of Quantitative Easing would begin, causing the dollar to free fall for a short amount of time. Since investors were already expecting this move, USD had been falling throughout the month. Nevertheless, QE3 will put a downward pressure on USD and should cause GBP/USD to appreciate, all else being constant. On Tuesday the US will its CPI Inflation data, which will be crucial for the pair. This is usually used for the Bank of England’s inflation target. Previous CPI data was 2.6% versus a forecast of 2.3%, and this month analysts are expecting the percentage to be at 2.5%. Therefore, traders should look out for the news on Tuesday and then initiate a position. QE3 is likely to appreciate the pair throughout the week, but right now the conditions are overbought. This should resolve soon and the rally is likely to continue. 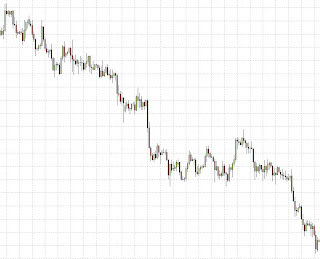 The chart for GBP/USD is much similar to EUR/USD. Before September the pair was mildly rising in an upward channel, but adopted a new angle on the 4th of September and has been rising in the new channel ever since. The price did not have to face significant resistance levels until now, where there is resistance at 1.6296. The price is very close to this mark, so traders should wait and see if there shall be a breakout or a reversal. In case the resistance level is breached, traders should expect a decent rally which is supported by QE3. In case of a reversal, the price is likely to reach back to the support level at 1.616. From a long term perspective, any reversal would be brief and appreciation is more likely. MACD has been above the 0 mark since the start of August. Recently, it gave a brief bullish signal but is giving a bearish one at the moment. Since MACD is being supported above the 0 mark, it is likely that its bullish signals will be much stronger than the bearish ones. Stochastics have been bearish the whole day. They’re reaching the oversold mark soon, but according to historical analysis they should remain here very long. Traders should wait for a bullish signal before initiating a trade, as the news on Tuesday is very important. Fundamental: The most important news for the foreign exchange market came before the weekend, when Ben Bernanke officially announced a new round of quantitative easing. The US Dollar fell till the weekend, and has recently begun a rally. QE3 is going to push the USD downwards during the new few months, so the direction of pairs will mostly depend on whether other currencies are depreciating as well or going in the other direction. The Euro had been appreciating from the past few days as the ECB gave its complete backing to the currency. However, a fall was expected today but did not happen as political tensions between China and Japan caused money to go out from the Yen and into the Euro. Traders should look out for news on Tuesday when the German ZEW Economic Sentiment is released, and on Thursday when we find out about Spanish bond auction, German PPI, Flash PMIs and Consumer Confidence. A regression channel shows that the EUR/USD pair was rising from the past month, and broke out on the 5th of September. Since then it largely followed this angle and broke some resistance levels. However, it has been horizontal from the past 3 days, and fundamental news this week will decide its direction. The closest resistance level is at 1.328, and if the price breaks through this level, we could expect the currency to rally for some time. If the pair falls from its trend line, then the closest support level can be found at 1.300. If the Euro breaks through the support level, then we can expect a fall till the next resistance levels or regression channel lines at 1.275 and 1.269. If we examine the MACD, we can see that it has been above the 0 mark the whole month, even when it is bearish. Since the 14th of September it has produced a bearish signal, and the price is horizontal. Therefore, we would have to wait for economic news or watch for a break out to take a position. Stochastics are also bearish, but they have reached the oversold mark. Traders should wait for a bullish signal before executing a trade, as they can remain oversold for a long time. In forex trading, being a sniper is usually more preferred when compared to other types of strategies like machine gunners and the kind. Maybe I should start by helping you understand exactly what I mean by being a sniper. The use of this analogy stems from the word sniper in the military. A sniper is often hidden in the bushes, typically far away. The sniper is rarely seen in operation; however, the effects of his or her work are often devastating and of very large magnitudes. The idea is simple, instead of being bullish; the sniper gets the work done without the pomp and colour that most people would enjoy. The sniper would typically set up without problems and without hurry and wait for his target to be perfectly set before the shot is taken. Once the target is well in the scope, the shot is taken and the target is fallen. The end result is the use of minimal effort to achieve a certain goal. When this analogy is juxtaposed to the forex market, the similarities are abounding. For instance, it is very true that people who take their time to analyze an option before making the trade often end up with much better deals than those who trade in a rush. The time taken allows the person to study the trends and determine the best time to invest. 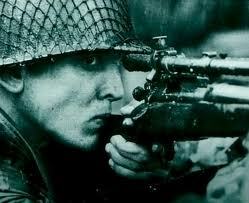 Like the sniper, this strategy relies on the ability of the individual to prepare for the trade. Like the sniper, in forex trade you need to have an edge, or a weapon that you have mastered and one that you are comfortable using. What comes with such weapons is extreme self-discipline in order to avoid the temptations that may come your way in the name of quick and easy money. This is especially important for people who intend to have long term success in the forex market. For you to operate like a sniper in the forex market, there are a few things that you may need to know and implement. To start with, at times you will have to accept that a little less is actually much better than more. In forex trading, there is often the temptation to trade more of a certain option especially when the going is good. In truth, there are certain levels beyond which a trade does not make economic sense. You will also need to develop patience as a skill. This allows you the time to choose the correct options and maximise your profits while ensuring long time success. You will also need to allocate yourself higher timelines to allow yourself the options of recouping losses and going back on mistakes before heavy losses are incurred. In general, trading higher timelines often increases the probability of trading success. As such, snipers in forex market should have the ability to be patient and invest more in the higher timelines. One of the other tools that you will really need is the mastery of whatever strategy you come up with. Once you develop a strategy, it is important to ensure that you have it at your fingertips in a way that there are no shock moves that may affect your trading.